The Premiere Window Washing Service In Spokane, Washington. Book A Window Washing In Spokane In Under 3 Minutes! Here are some before and afters of some hard water damaged windows that we restored back to life! Northwest Glass Act is the most dedicated company that washes windows you will ever find. We have perfected our craft and love putting smiles on our customer's faces. We will never leave a job until you are satisfied and we offer competitive prices. At the core of our business, we are dedicated to serving our customers to the best of our ability. We are a local window washing company that always goes the extra mile to be friendly and to make our clients feel comfortable around us and extremely satisfied with our work. We care what you think and we want you to call us again after the first job, so we are always going to do our very best! Spokane, WA is such a great area and has so many wonderful people in it. We value all those residing in it and want you to know that we mean it when we say we will give you our best on every job. There is not one organization that is better for you when it comes to window washing in Spokane Washington. 1. Spotless, Stainless Service. We take what we do very seriously and want﻿ to provide our customers with the best service possible. The windows that are washed by Northwest Glass Act always get completely cleaned and nothing gets overlooked. Your windows will look brand new when we are through with them. 2. Quality And Quickness. Providing quality service is more important to us than being speedy, but we have been washing windows long enough to know how to get things done efficiently. We know you have a schedule, and most likely want to be at home while we are washing your windows, so we always respect your time while on the job and be as efficient as possible. We can get a lot, and we mean a lot, of windows washed in a short amount of time. Call us today and let us prove it to you! 3. Guaranteed Service. We make sure that all of our customers are not only pleased with our service, but ecstatic about it! If you are not pleased once we have finished, give us a call within 24 hours and we will come wash your windows again, completely free of charge. 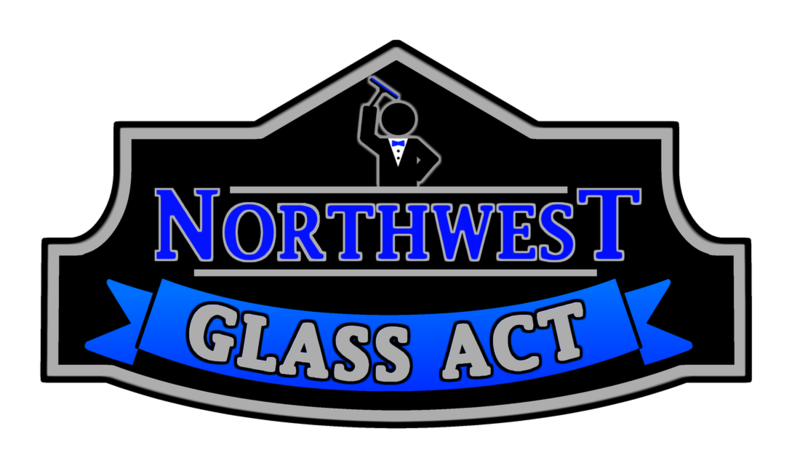 We genuinely value our customers and their perception of Northwest Glass Act. Spokane and CDA deserves the very best window cleaners to be in their area, and that is what we are. 5. Affordable Service. We offer some of the best prices in the industry. We understand that some customers don’t always have the budget for cleaning their windows. Because of this reason, we always want to offer high quality window cleaning service at an affordable price. For more information on cost, fill out the FREE quote form to the right or give us a call. 6. Nothing But Professional. Our washers are the best in the business and also the friendliest! We only higher employees who are love being around people. Our washers have full health and liability insurance coverage. Just as importantly, our washers are extremely efficient and know all the right techniques to make your windows look fantastic. 7. Safe & Smart Cleaning Method. The techniques and methods we use to wash your windows is as close to perfect as it gets. The average individual often scratches or smears their windows when washing them. To take wash your windows and take care of them the proper way, contact us. We got you covered! 8. Superb Solution. The solution we use to wash your windows allow them to stay clean and preserved for a longer amount of time than average store bought window cleaning products. Our solutions are also eco friendly. 9. Top Of The Line Tools. The equipment we use is not your average equipment and can't just be purchased at any local Home Depot. We want to be sure that every window we wash has a streak free shine, thus we use the best window cleaning equipment on the market. 10. Loyalty Discount. To all customers who request a window washing at least once every two months, we offer a 10% off discount! So don't be afraid to reschedule after we wow you with new shiny windows. 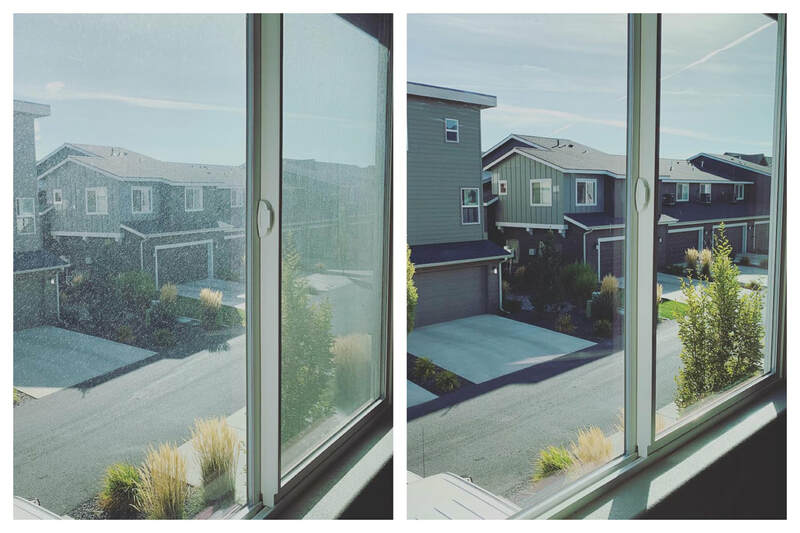 Window cleaning in Spokane is what we love to do, and we want to do it for you! Spokane's best window washing company is pleased to share with you that ﻿you can also look at some of our Google reviews or find us on Yelp for more information. You will find that we are top rated for both residential window cleaning and commercial window cleaning. As well as the top notch pressure washing in Spokane! We have a passion for serving this local area and will always go the extra mile to make sure you are pleased with our service. If you are visiting this site, you are going to have your windows washed at some point anyways. Take time out of the equation, call us now and get them looking spotless sooner rather than later! For spotless windows call us today at 509-591-0570 or fill out the FREE quote form and we will be with you as soon as possible. We take cash, checks or cards to make it easy on you! You will not find a more dedicated and detailed window washing service that is as affordable as us. We guarantee it. CALL TODAY TO HAVE YOUR WINDOWS CLEANED SPOTLESS!